Cority’s enterprise-grade EHS and Quality cloud-based software-as-a-service (SaaS) platform powers solutions that protect the well-being of workers and the environment, ensure global compliance in the face of rapidly-evolving requirements, and advance sustainability and operational excellence. Cority’s modular EHS management system can be configured to meet any organization’s EHSQ needs. The Cority environmental health and safety software spans the main functional areas in EHSQ: Occupational Health, Safety, Industrial Hygiene, Environmental, Quality and Ergonomics. Cority can be deployed as an integrated, enterprise-wide HSE software solution, a scaled-down version for mid-sized companies, or as standalone solution to suit your specific requirements. Using our powerful Business Intelligence tools, you can analyze and report on data captured within any of the Cority platform functional areas or combine EHSQ data for a complete view of EHSQ performance. Each of Cority’s EHS Management Software includes a host of EHS compliance software modules that enable organizations to perform complete data collection and tracking. Click on one of the areas to learn more. Enable EHS and Quality integration and convergence across multiple dimensions to achieve standardization of EHS and EHSQ practices across functional disciplines and supply chains. An intuitive user interface that ranks with the best in class from all industries that meets the needs of a diverse group of users. From the EHSQ practitioner that relies on Cority everyday to facilitate their highly technical work to a foreman on the shop floor, to a remote auditor that only occasionally uses Cority on any device, the experience is relevant and simple to learn with features like ’Smart lookup’ for easy data entry. Cority provides sophisticated reporting, business intelligence, and analytics capabilities. Compliance is aided through full regulatory environmental, health and safety standards (e.g., OSHA, ADA, FMLA, HIPAA, and DOT) plus sophisticated disability management information tools. 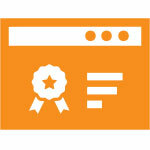 Cority is committed to keeping you on a well-supported ‘out-of-the-box’ software product. No custom development. Cority features many tailoring and set-up options with configurable business rules to better manage workflow. Each organization, and to some extent each user, can readily personalize their own views, screens, layouts, lists and menus to maximize efficiency. 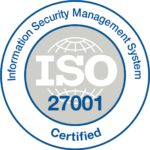 Configurable security settings allow for tighter user security management and, because security is about more than software, Cority was the first EHS software provider to be ISO 27001 certified. Key metrics will inform your management decisions at a glance with intuitive data visualization to indicate trends, indicate alerts, and bring attention to most important activities to follow-up on. Cority is fully web-based with the largest community of EHS professionals using the same standardized software-as-a-service version. You benefit from a reduced TCO, ongoing R&D investment, shared best practices, and improved overall service. Multilingual support makes it easy to engage employees and empower practitioners around the world. Sophisticated hierarchies and role-based security enable a successful global roll-out of your EHS and Quality programs. Cority is designed, deployed, and supported by EHSQ industry experts. Their hard-earned experience is reflected in powerful out-of-the-box workflows that capture 30 years of best practices and industry standards. This approach speeds deployment, reduces costs, and advances your EHSQ program. Streamline processes with automatic notifications and out-of-the box interfaces with devices, equipment, regulatory agencies, and laboratories. Cority supports electronic interfaces to assets, equipment and laboratories. Data can be securely exchanged with external systems.